Ferrari Portofino - Cavallino Rampante! We took Ferrari’s entry-level convertible out for a little spin! Singapore - From the ashes of the California, Ferrari has crafted a new entry-level convertible sports car - the Portofino - featuring slick styling, more power plus a host of other technological upgrades to ensure this baby Italian Stallion remains at the front of the herd. Now to understand how the Portofino came to be we needed to look back at its predecessor, the California. 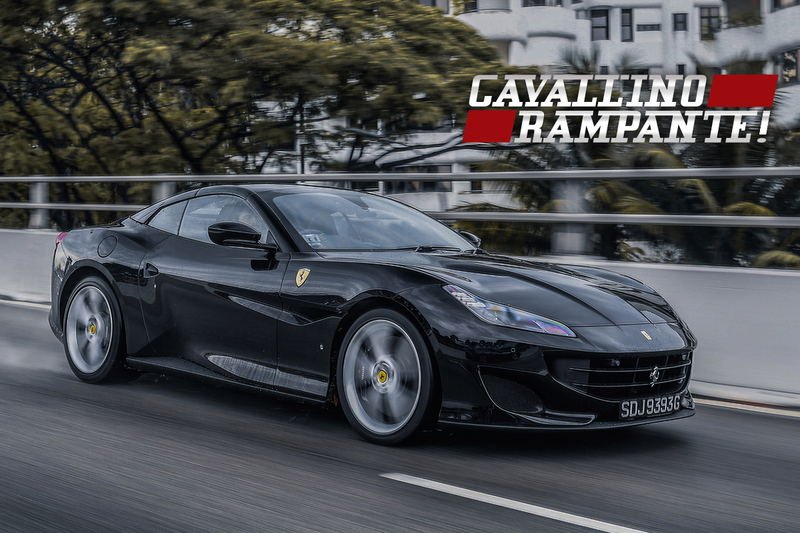 Launched in 2008, the baby Ferrari became the Italian carmaker’s most successful model ever thanks to its lower price tag which in turn lured many first-time buyers to the Prancing Horse. However, priced at just under SGD$900,000, the Portofino is not exactly the bargain of the century, but because its a Ferrari, a brand which commands a premium like no other automotive company can. I recently got the chance to take the Portofino out for a spin around the island thanks to the Ferrari Esperienza Test-Drive held last week. Checking into Como Cuisine at Dempsey Hill bright and early, I was handed the keys to a black unit and off we went! While I personally have never driven the California I was told the Portofino boasted a slew of improvements over its predecessor. Its lighter, faster, stiffer and also easier on the eye. Unfortunately it rained during the test-drive and I was unable to do some al fresco driving but I was told the roof only needed 13 seconds to retract and can be done at speeds of up to 30km/h. With the roof up though, you would never have guessed that it was a convertible as Ferrari has made the Portofino extremely sleek and even lower than the car it replaces. Its roof is heavily raked at the rear for that classic jet-fighter-cockpit look. Just like the California T, the Portofino takes up the mantle of an ‘everyday’ Ferrari powered by the same 3.9-litre twin-turbo V8 with a slight power boost for 591 horses with 760Nm of torque with a century sprint of 3.5 seconds and a top speed of 320km/h. It might not sound like much but when you factor that the Portofino is 80kg lighter than the outgoing car and weighs just 1,660kg, the entry-level Prancing Horse is properly quick. The moment I turned the car in it feels lighter than its kerb weight suggests, together with its all-new electrically-assisted power steering enhances the Portofino’s response. I didn’t initially like the overly-light steering but once I got the knack of it was absolutely sublime and also the fact that it had a very quick ratio. The Portofino can be driven effortlessly even in the tightest of roads! To get the most out of the Portofino though you need to drive it hard, grip levels are off the scale and it inspires a lot of confidence while you are at the wheel, the car gives you the feeling it has a ton more in reserve and eggs you to push harder. Plant the throttle and there barely any lag before the twin turbochargers start spooling, throttle response is razor sharp in every single gear (in Sport mode). But above all else, what I loved most about the Portofino was that exhaust note. Unlike other boosted V8s I have driven, the sound which this Ferrari makes sounds more like a pure NA machine, its high pitched yet bassy growl was simply intoxicating, drop the gears down manually and the exhaust will pop with such drama that I found myself doing that repeatedly just to hear the medley of backfire. Speaking of gears, the Portofino’s V8 is paired to Ferrari’s signature seven-speed F1 transmission, a dual-clutch that shifts with such precision and speed, that I was constantly on the paddle-shifters just for the fun of it. Pushing the Portofino through bends, I felt zero bodyroll, the Ferrari felt more like a proper hard-top sports car than a convertible GT. 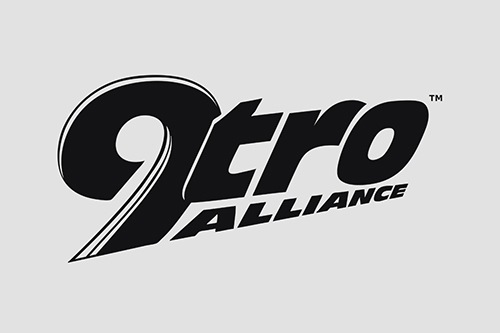 This is thanks in due part to 35% increase in body rigidity over the California T along with stiffer spring rates and a revised active suspension system that features dual-coil dampers with updated software. Powering out of corners, the Portofino feels very planted thanks to the inclusion of a third-generation electronic rear differential that works together with the car’s F1 traction-control system. However its ride quality which really sets the Portofino apart from its nearest rivals. There’s no denying Ferrari’s mastery of ride/handling dynamism. Whatever mode I was on, the Portofino’s suspension was able to iron out all the humps without ever jarring the cabin. In fact I dare say that it was so comfortable it would even rival the ride quality of proper luxury cars. Even in Sport mode the Portofino still displayed impressive pliancy in dealing with all manner of road surfaces that might have unsettled other performance machines. In the Portofino, you just point it in the line you want to take, the car will stay there even under heavy loads - it just feels very reassuring for the driver especially if you are like me who enjoys the occasional spirited drive through the twisties! Moving onto the cabin, even though this might be ‘entry-level’ the interior is anything but entry, in fact its dripping in exclusivity and craftsmanship, the layout is pretty similar to the GTC4 Lusso with impeccably sculptured sport seats that do a fantastic job in supporting your back which cushioning you with the softest of hand-sewn leathers. 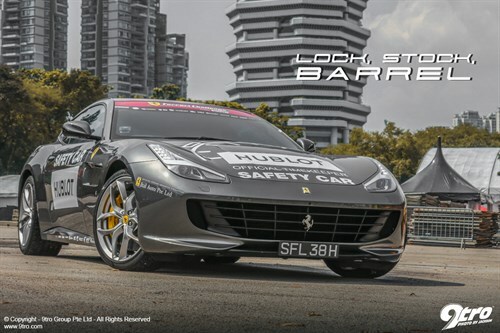 Ferrari GTC4 Lusso T - Lock, Stock, Barrel18 Oct 2018Can you really have your cake and eat it? With this Prancing Horse it just might be possible. Ferrari Portofino - A new breed of design28 Sep 2018Supreme sportiness for the perfect score. Playing to its ‘everyday’ practicality, the Portofino is surprisingly easy to get in and out of, the cabin is also pretty spacious with front passengers getting massive footwells and a decently sized boot that will swallow cabin-sized bags even with the roof folded in. So if you have just under 900-grand to spare on a supercar minus all the idiocracy that comes with owning one, why not consider the Portofino?